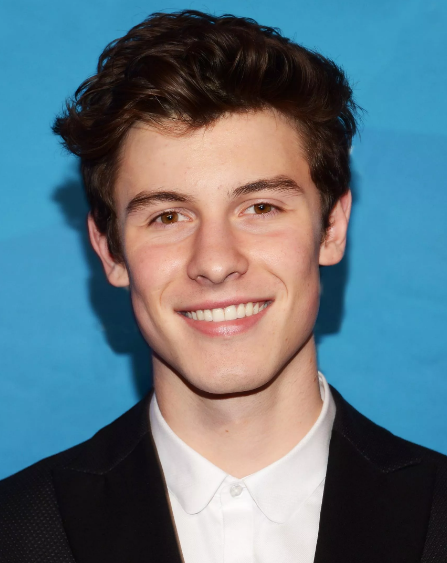 Shawn Peter Raul Mendes is one of the popular Canadian Pop singer and songwriter. He is widely recognized as Shawn Mendes. He is well known Canadian celebrity. He is famous for contribution to professional life. He gained his popularity in the year 2013 by posting song covers on video sharing application "Vine" and then he signed with a record label. He is very talented and skilled singer. In the year 2018, he was included on Time's annual list of the 100 most influential people in the world and also he has won 3 Juno awards and American Music award. 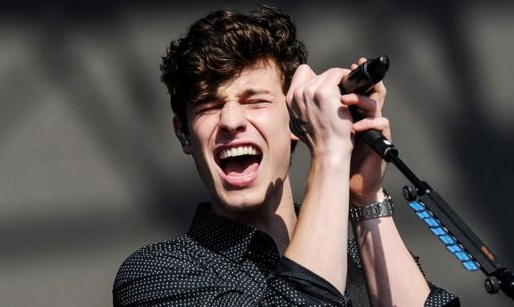 Passionate and enthusiastic Singer, Shawn Mendes was born on 8th August 1998. He was born and raised in Toronto, Ontario, the city of Canada. He is the son of Manuel Mendes and Karen Mendes, his father and mother. His sister name is Aaliyah Mendes. His full name is Shawn Peter Raul Mendes. His nationality is Canadian. His astrological sign is Leo. At the small age, he began his career with singing. His ethnicity is White. His sexual orientation is Straight. Shwan has got a great personality. Talking about his body, his height is 1.88 m. His weight is of 83 Kg. His eye color is dark brown and the hair color is also dark brown. He has a balanced body with good health. He has an attractive body figure. His smiling face and charming personality have helped him to gain the attention of all the viewers. He started his career by playing guitar watching YouTube videos in the year 2012. At that time he was just 13. After that, he started posting his cover songs on the social media app called Vine in the year 2013. After that, he gained millions of views and followers and became well known. In the year 2015, he also became the third most followed musician on Vine. Later, he signed to Island Records on May 2014 and released his first single "Life of the Party" on 26th June 2014. Before he signed with Island Records, he was a member of the MagCon Tour together with Nash Grier, Cameron Dallas, Jack & Jack and other young artists. He also became the youngest musician to be in the top 25 on US Billboard Hot 100. In July, he released his debut major label EP and it was peaked at number 5 on Billboard 200 selling 48,000 copies. He also won a Teen Choice award in the year 2014. His second single "Something Big" was released on 6th November 2014. Then, he released his full-length album named "Handwritten" on 14th April 2015. It was sold 106,000 copies. His third sing was "Stitches" which was at number 4 on US Billboard Hor 100. He also opened for Taylor Swift during 1989 World Tour dates for North America in the year 2015. After that, Mendes and Camila Cabello, a member of Fifth Harmony released their collaborate single "I know what you did last summer" in the year 2015. In the year 2016 of 21st January, he made his acting debut in the series name The 100 third season. Later, he signed with modeling agency Wilhelmina Models and made his first appearance on Forbes list. Then in June 2016, he released his new song "Treat You Better". His second sing "Mercy" was released on 18th August 2016. He released the single "There's Nothing Holdin' Me Back" on 20th April 2017. Recently, on 22nd March 2018, he released "In My Blood". He then performed at a televised concert honoring the 92nd birthday of Queen Elizabeth II on 21st April 2018. On 25th May 2018, his self-titled studio album was released. Mendes will embark on his self-titled tour in 2019 to promote his album. He received many awards and nominations. Some of them are MTV Europe Music Awards, Allan Slaight Honour, SOCAN Award, People's Choice Award, Juno Award and many more. Recently, he has been awarded Songwriter of the Year at the 2018 SOCAN Awards. Shawn also said he would love to work with Justin Bieber, Logic and Ed Sheeran in the future. Shawn is single. He is not married yet. He was rumored of dating many stars including Taylor Swift, Camila Cabello. None of these rumors are confirmed yet. He has not revealed about his real relationship to the media. He may be single and maybe he has a girlfriend. He is focusing on his career than in a relationship. This excellent singer makes good money from his work. The net worth of Shawn is estimated to have $3 million in 2018. His salary is kept in privacy but there is no doubt in the mind of his supporters and followers he is satisfied with his earning.